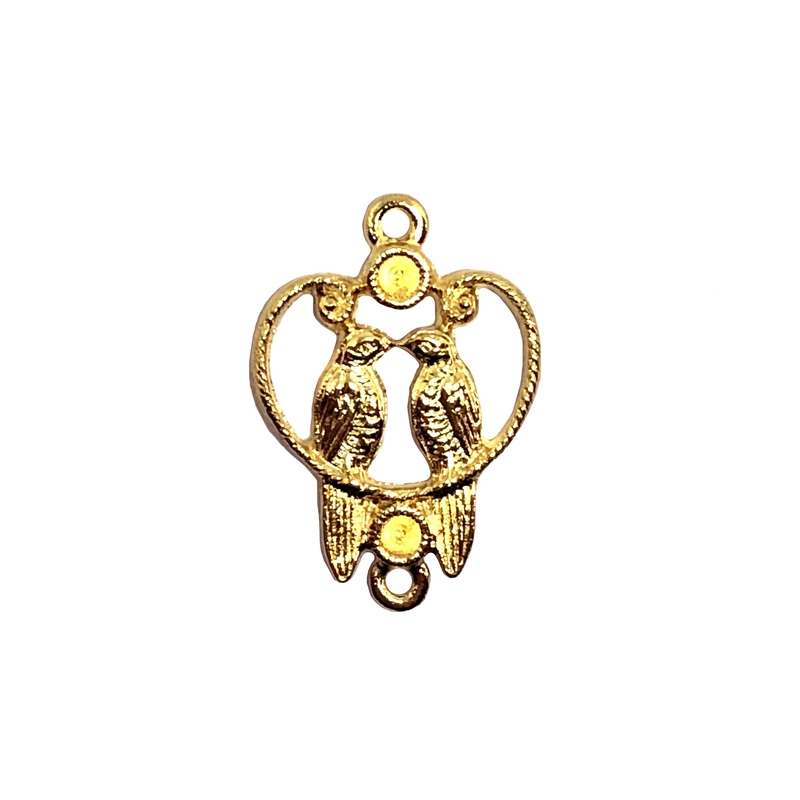 Lovebird pendant, 22K gold finish pewter, birds, connector, love birds, pewter castings, bird heart pendant, B'sue by 1928, US made. Measures 27 x19mm. Signature 1928 Company swirled impression on the back. High quality with exquisite detail and can be embellish or put stones. So pretty with top and bottom hanging holes. This piece is so versatile as it is reversible, lovely either way. Multiple uses, charms or necklace. This gold finish is even more beautiful in person!! You must try it! 22K Gold Finish is a rich bright gold wash over the pewter. Very strong and sturdy, it is lead and cadmium free as are all our finishes at B'sue Boutiques.